You may or may not have heard about it. Disruptive innovation is a phrase used by some entrepreneurs whenever it fits the bill, and is often associated with tech start-ups that topple bigger companies. 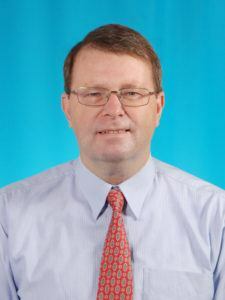 Yet the man who invented the theory of disruptive innovation, Harvard Business School professor Clayton Christensen, says the term is “widely misunderstood” and commonly applied to businesses that are not “genuinely disruptive”. Right here I will try to shed some light on what to expect from disruptive innovation, by explaining what it is and what it is not. And if you truly do not like all this fuss in your working environment, I will give you a perfect solution at the end. The theory goes that a smaller company with fewer resources can unseat an established, successful business by targeting segments of the market that have been neglected by the already existing entity, typically because it is focusing on more profitable areas. As the larger business concentrates on improving products and services for its most demanding customers, the small company is gaining a foothold at the bottom end of the market, or tapping a new market the incumbent had failed to notice. This type of start-up usually enters the market with new or innovative technologies that it uses to deliver products or services better suited to the incumbent’s overlooked customers – at a lower price. Then it moves steadily upmarket until it is delivering the performance that the established business’s mainstream customers expect, while keeping intact the advantages that drove its early success. This could then slowly disrupt the big player’s market. One of the best examples is Kodak, which only stubbornly adhered to old-fashioned film rolls. And then came the area of the digital camera and that blew out the fairy tale, especially if you know that Kodak owned this digital technology itself, but left it for too long to adapt. And so a story was created based on fear: Do not let Kodak happen to you. ‘There are all kinds of small start-ups at the gate of your company to rattle your cage. This led to people thinking you will have to disrupt your own company, because otherwise someone else will do it for you.’ Let us look at another, entirely different example. Believe it or not, Joe was ordered to attend a seminar on this very subject of ‘disruptive innovation’. Once there, he got to hear a rather frightening story that the world as we know it would never be the same again. What was hammered in his head was that we no longer live in a change of era, but in an era of change. In other words, disrupt or be disrupted. He returned rather impressed, to say the least. But should Joe and his boss really worry so much? 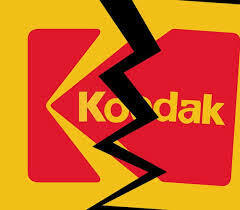 Although the story of Kodak is from 1997, it is still extremely popular. Thus says a company director echoing many others: Disrupt or die. If some employees say, “We’ve been doing it this way for years,” you’d have to do things differently by definition. Even trend explorers like it.” If computer guys enter your market then they will disrupt everything ‘. And so people like Joe, working as a buyer at a retail business, get to hear that everything could go wrong. Whether you work in education, a supermarket or sell tickets at the funfair: just start disrupting your business, otherwise the end of time will approach. I personally do not like fear mongering. Take Uber: a company that is often referred to as an alarm for disruptive innovation because of its huge impact on the taxi-cab industry. However, according to Christensen the ride-hailing app isn’t an example of true disruptive innovation. Disruption happens when the incumbent’s mainstream customers start taking up the start-up’s products or services in volume. 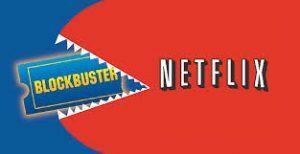 Think Blockbuster and Netflix. These upheavals occur, according to Christensen, not because established companies do not innovate (they do), but because they’re focusing on making good products better for their existing customers. (This is called “sustaining innovation” and it is different from disruptive innovation). 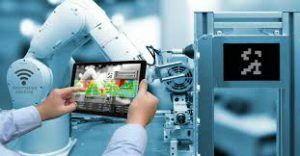 “These improvements can be progressive advances or major breakthroughs, but they all enable firms to sell more products to their most profitable customers,” Christensen et al write. Meanwhile, disruptive companies are exploiting technologies to deliver new or existing products in radically different ways. (Netflix moved away from its old business model of posting rental DVDs to customers to streaming on-demand video.) Their offerings are initially inferior to the currents’, and, despite the lower price, customers are usually not prepared to switch until the quality improves. When this happens, lots of people start using the product or service, and market prices are driven down. However, there are people who question this theory. First of all, Christensen’s research is of a doubtful level. The good man has chosen 77 companies in a disorderly fashion suiting his theory, something that you certainly cannot call representative. And when other scientists started researching, only 9 percent of his examples met his own definition. Companies that would die of disruption according to Christensen turned out to be alive and well. Or there was simply bad management. For the record: of course ‘disruptive innovation’ occurs, like what Kodak. Whatsapp has overthrown the SMS earnings model. Thanks to Netflix, the video store has disappeared from the streets. And there will always be new innovations that will disrupt existing businesses. How can companies survive disruption? Google is developing self-driving cars, Amazon is experimenting with drones to deliver shopping articles, and there’s a chance that in future we could 3D print medications in our own home. With these potentially disruptive innovations on the horizon, how should existing companies respond? 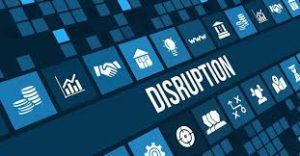 While the catchword “disrupt or be disrupted” may strike fear into the heart of many a large firm, true disruptive innovation is surprisingly rare. Companies need to react to disruption, but they should not overreact, say Christensen, Raynor and McDonald, for example, by dismantling a still-profitable business. 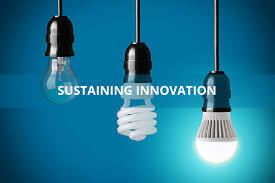 The answer is instead to bolster relationships with key customers by investing in “sustaining innovations”. In addition, companies can create a new division tasked with going after the growth opportunities resulting from disruption. “Our research suggests that the success of this new enterprise depends in large part on keeping it separate from the core business. That means that for some time, present companies will find themselves managing two very different operations,” they write. The image that disruption is the order of the day in all sectors is grossly exaggerated. The share of large companies as a percentage of GNP has been increasing for years. For now, start-ups are only doing well according to some media. In practice, it appears that only a very few disruptive companies per year can make a piss-up in a brewery. And if they threaten to do so, a larger company usually buys them. To say that an army of disruptive innovators is ready to overthrow your business is like saying to the USA that they need to prepare for an invasion of Andorra. So Joe and his boss should not be too worried and stories about disruption are easy to disrupt in practice. Joe has therefore already advised his boss that the strategy ‘keep doing what you are good at’ makes a lot more sense than ‘go at your business like crazy’. But what if his boss does not agree, which is altogether possible? Then Joe has two options: he takes another job or starts for himself. In option number 1 he could encounter another annoying boss, but in option number two he would be his own boss! So here it is. Becoming your own boss, which is the dream of many people, has become much more feasible with the development of the internet and search machines like Google, where possibilities are virtually indefinite. What you need is a scam free, reasonably priced training program that teaches you how to become a successful internet business owner. One of the best, if not the best, in the world is Wealthy Affiliate, which is doing this business since 2005. Read here my full review of how WA works and how you will become an affiliate marketer. And the best thing is, you can start this training immediately in your free time (next to the job you don’t like). If you have any questions, please do not hesitate to ask through the comment boxes at the bottom. I will reply within 24 hours, as I am online every day. That’s an interesting look at Disruptive innovation ! I’ve never thought much about it, but I can see several examples of it and how it has played out! There was one case where a large group of country clubs went into the pro shop business big time , and a guy started a small proshop where he gave lessons and sold gear. He all but put thise big boy pro shops out of business ! 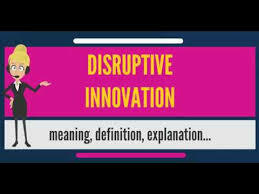 Disruptive innovation is pretty interesting! Yes, it can and will happen from time to time although on a small scale. And I think that especially big companies do not really need to be afraid, they just adapt or buy the small competitors. But it is a wake-up call for many in the business.